April 29, 2013 April 22, 2013 / Susan O. You may not know his name, but chances are you know his face. James Cromwell is one of those lucky actors who never seems to want for work, with more than 163 film and television credits to his name. At 6′ 7″, he is the tallest actor ever nominated for an Oscar. Born in 1940, educated at Middlebury College and Cal Tech, Cromwell has been cropping up everywhere since the early 1970’s, and is still going strong. A staunch vegetarian, he was once arrested for protesting a Wendy’s in Virginia. Total Film ranked him 56th of the Top 100 Greatest Movie Villains for his role as Captain Dudley Smith in L.A. Confidential, which many people think he should have won an Oscar for. Whether you remember him as Farmer Hoggett in Babe (his Oscar nomination), Zephraim Cochrane in Star Trek: First Contact, or Archie Bunker’s loading d0ck buddy Stretch Cunningham in All in the Family (yes, that was James Cromwell), you’ve probably seen his work. Whether funny, serious, or villainous is your style, get that popcorn going, sit back, and check out some of these great Cromwell performances! 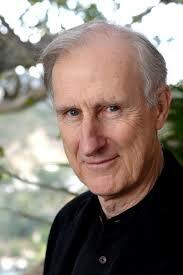 After the Babe actor James Cromwell was 12, Patricia Travers, ditched the violin and dropped out of sight.